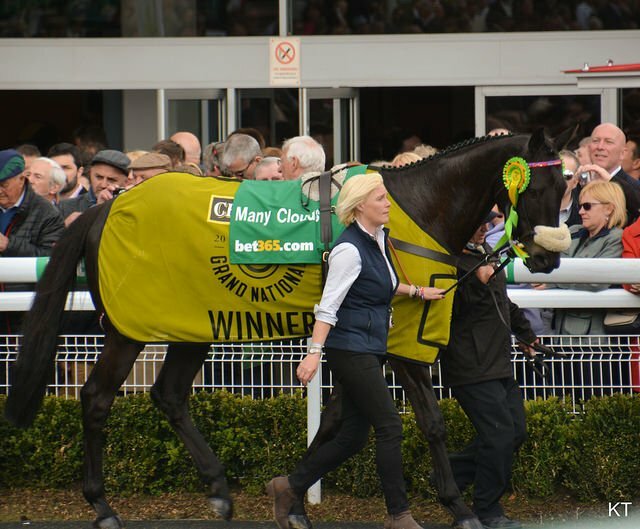 Yesterday we got the tragic news that 2015 Grand National winner Many Clouds suffered a heart attack after beating the legendary Thistlecrack at Cheltenham. 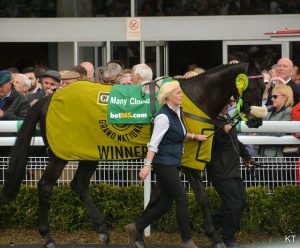 Many Clouds put a huge amount of effort into his races, especially when the crowd was behind him, often being called the “people’s horse.” The amount of effort he put into each race just shows how much this amazing horse enjoyed his job and wanted to do his best. No one can ever fault him as he always gave it everything he had. Sometimes he would put so much effort in during the race that he would need veterinary help after the race to help him recover. This was seen after his Grand National win where he became wobbly after the finish line and had to be given oxygen. From what I have seen/read about this tragic accident yesterday, it appears that it was caused by him pushing himself to the absolute limit. Sadly, I have already seen a few people throwing abuse at the owners, trainer and the BHA. Yes, the horse had displayed a condition and you can argue that the horse shouldn’t have been allowed to continue racing. However, not only is this abuse far too soon after a very sad incident, but it doesn’t consider the horse’s mental welfare. I don’t think anyone can say Many Clouds didn’t love racing to work as hard as he did. I also don’t think it’s fair for these people to judge the actions of Many Clouds’ team without personally knowing the horse. Some racehorses simply can’t cope with a life outside of racing and this affects their mental well being and often continues to affect their physical welfare. For all we know, allowing him to continue doing what he loved with the risk of implications was the kinder thing to do. My thoughts go to everyone who knew this horse personally as this will have been a tragic loss and I hope people are respectful, whatever their views on racing are. A New Relationship with Equus.